Glen-Aire is a family-owned business established in 1958. We have 130 HUD (mobile home) sites in the community. We are located in Lincoln Township, Michigan, about halfway between St. Joseph and Stevensville—about three miles from the shores of Lake Michigan. Glen-Aire does business in accordance with the Federal Fair Housing Laws. We have a handicap accessible clubhouse for residents to use. It has a large warming station (kitchen) and bathroom. It will accommodate both small and large community activities and family gatherings. Glen-Aire residents are encouraged to add landscaping around their homes. As you drive through the community, you will be impressed by some of our gardeners. For those who are unable to maintain lawns and landscaping, there are paid services available. Glen-Aire permits residents to have one indoor cat as a pet. Statement of Intent: Glen-Aire is a manufactured home community intended and operated as a community providing “housing for older persons” under the U.S. Fair Housing Act. Under the Act, those persons aged 55 and older are identified as “older persons.” Glen-Aire has guidelines (rules) establishing its status as “housing for older persons” and complies with the Act by enforcing these rules. "I came by Glen-Aire not knowing anything about mobile home living; thought I would drive in and look things over. I liked what I saw and met the manager. He showed me three units, two used and one new. I bought the used one and with the help of the manager was able to move in in less than a month. I have lived here 6 months now and feel very much at home." St. Joseph is carefully nestled on the southern tip of what has been termed “The Riviera of the Midwest.” This deepwater port town is a growing resort community. The lakeshore is peppered with remarkable sand dune formations and lined further inland with a lush countryside that produces some of the nation's finest orchards and vineyards. Located just 90 miles from downtown Chicago, St. Joseph is a community of 8,800 people situated within the larger Benton Harbor/St. Joseph metro area of 162,000 people. Riverview Park along the St. Joseph RiverRiverview Park's 107 acres feature an enclosed lodge, two shelters, three ball fields, picnic areas and grills. 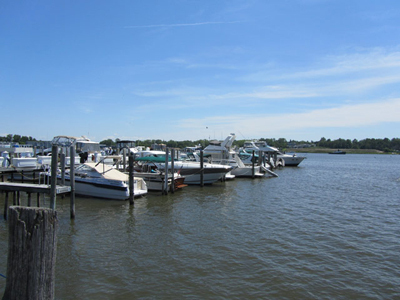 A boat launch is located adjacent to the park. 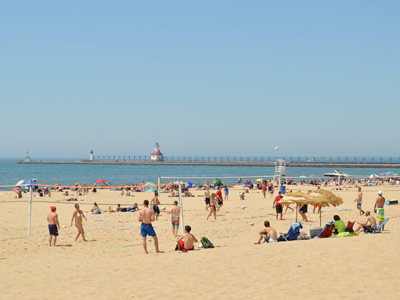 Silver Beach County Park on Lake MichiganSilver Beach County Park has extensive play areas, a guarded swimming area, volleyball areas, pier fishing, a half-mile, barrier free walkway and a reservable picnic shelter. The park also hosts outdoor concerts during the summer. Grand Mere State Park on Lake MichiganOver 1,000 acres of undeveloped woods and sand dunes. 985 acres of hiking trails, over 1 mile of Lake Michigan beach for sunbathing and swimming. 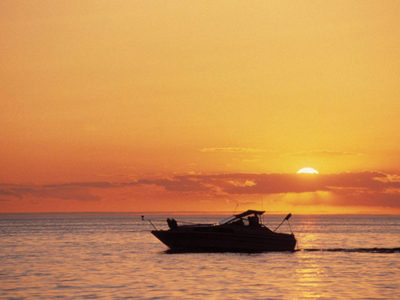 Open to hunting and fishing, has three geologically ancient lakes behind the dunes. Picnic shelter and cross country skiing. Harbor Shores Golf ClubHarbor Shores has become a premier destination for golfers throughout the Midwest. Harbor Shores, located in nearby Benton Harbor, is host to one of golf’s premier events, The Senior PGA Championship. St. Joseph is home to a variety of community events, from farmers’ markets to concerts and festivals. Click here for the latest event calendar. 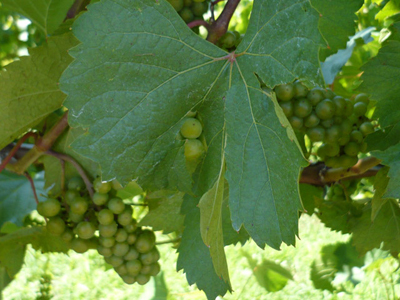 Also, check out great listings of restaurants, wineries, shops and galleries at the online St. Joseph “Welcome Center". 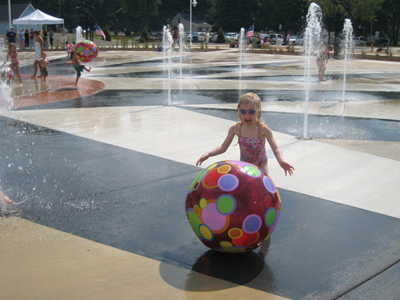 A wealth of fun awaits you in beautiful St. Joseph no matter what the season. 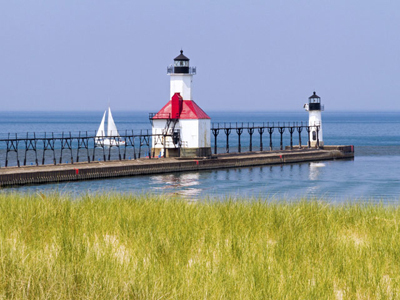 Take a Lake Michigan fishing charter, tour a lighthouse, go wine tasting, visit an apple orchard or take in a jazz concert. It’s all here for you.